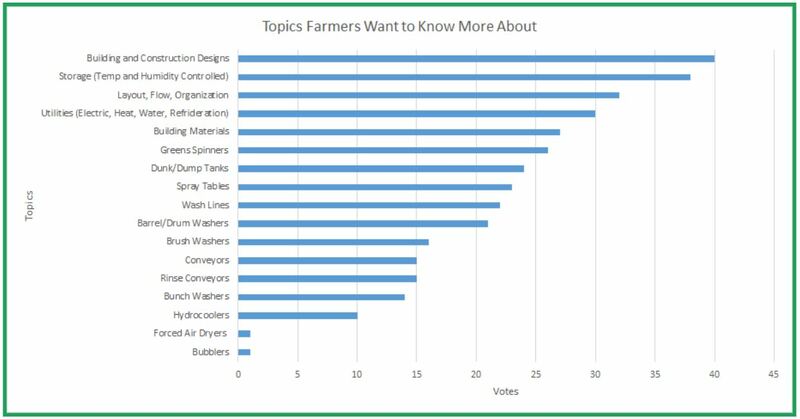 Last Fall we surveyed growers in the region about postharvest topics in preparation for a USDA NE SARE proposal. That proposal has been funded! 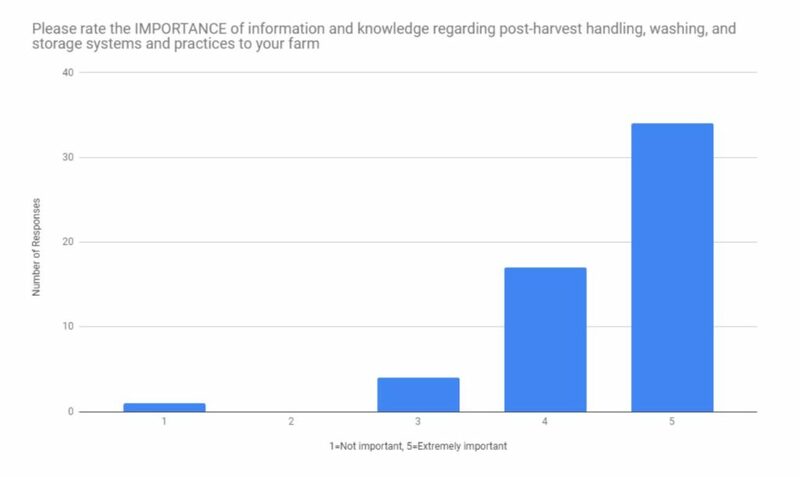 Growers who responded assigned a high level of importance to aggregated postharvest knowledge (4.5/5.0, n=56) while indicating poor availability of the information (3.3/5.0, n=57). Several ideas for research topics were provided as well. Our project will consolidate existing knowledge, best practices and new developments about postharvest equipment, infrastructure, and buildings into a print publication, a web-based handbook, workshop curriculum / educational materials, and recorded videos. Our work will include (1) research into equipment and construction practices that are not common in the region and also (2) documentation of current best practices through case studies highlighting specific farms. 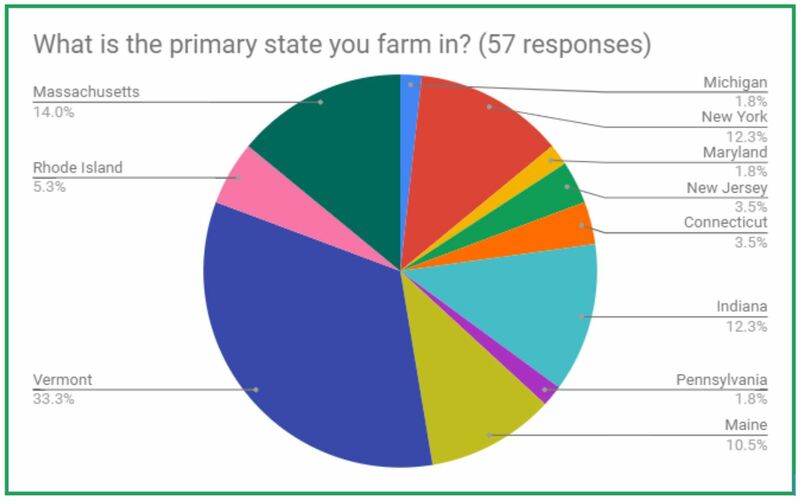 The seven question survey was administered electronically with outreach conducted via social media and established vegetable and berry listservs. Geographic Distribution – A total of 57 responses were received from 11 states. Most were within the northeast region (86%), but some were not. States outside of the northeast included Michigan and Indiana. 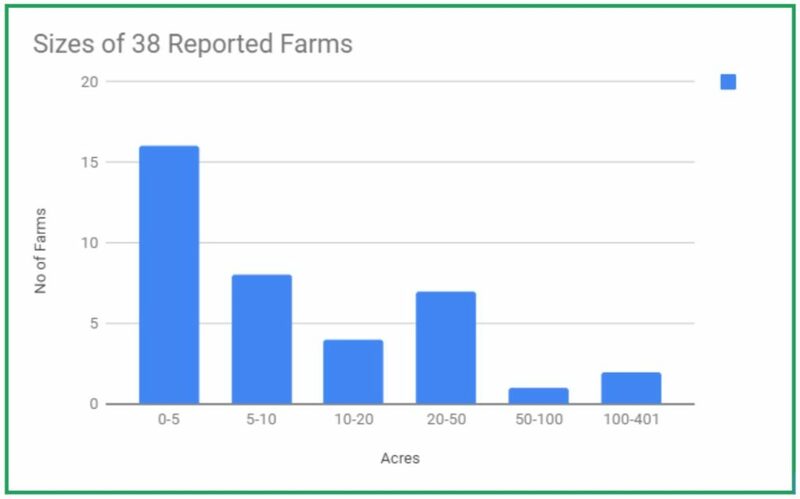 Scale Distribution – The respondents represented farms of various size from <⅓ acre to 400 acres growing a wide range of fruits and vegetables. 91% Value Postharvest Information – When asked to rate the “importance of information and knowledge about postharvest handling, washing, and storage systems and practices”, a majority of respondents (91%) answered either 4 or 5 on a scale of 1-5 (1=Not important, 5=Extremely important). The mean average response was 4.5/5.0 (n=56). 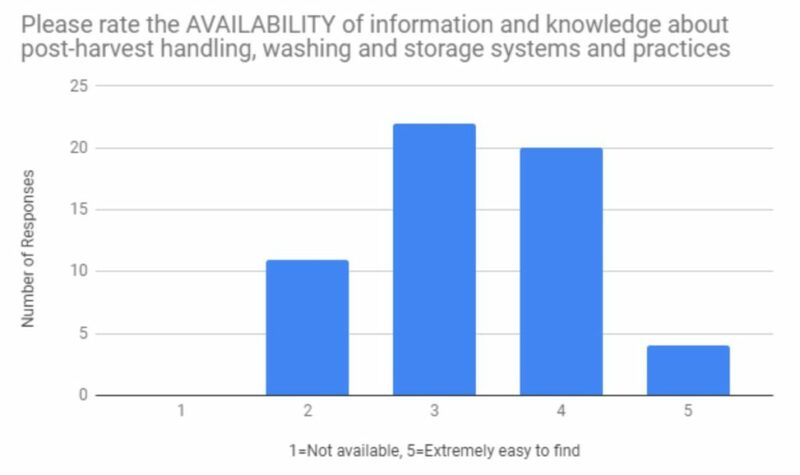 58% Indicate Low Availability – When asked to rate the “the availability of information and knowledge about postharvest handling, washing, and storage systems and practices”, a majority of respondents (58%) answered 3 or below on a scale of 1-5 (1=Not available, 5=Extremely easy to find). A vast majority (93%) rated availability as 4 or below. The mean average response was 3.3/5.0 (n=57). 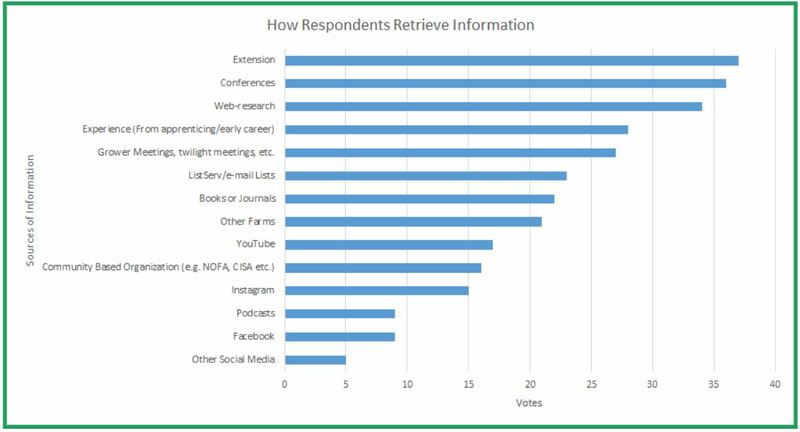 Only one respondent offered an additional source of information, Google (<2%). Other Feedback – Several respondents voiced thanks for the proposed work and some provided specific, additional feedback as follows. Do you have interest in participating in this project? Have a great postharvest solution or tip to share? Think there should be a solution to a continual postharvest problem? Get in touch, we’d love to hear from you.